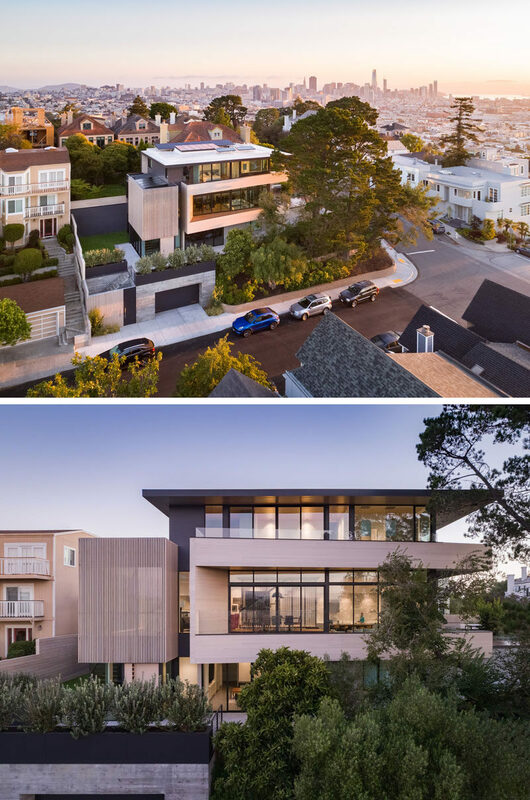 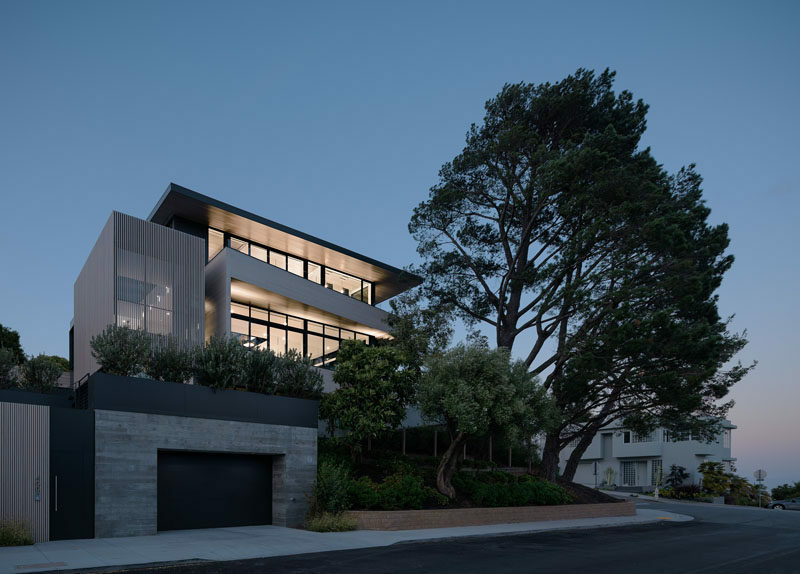 John Maniscalco Architecture | jmA has completed a new house on a sloping lot in San Francisco, that’s designed to take advantage of the changing daylight and sweeping city views. 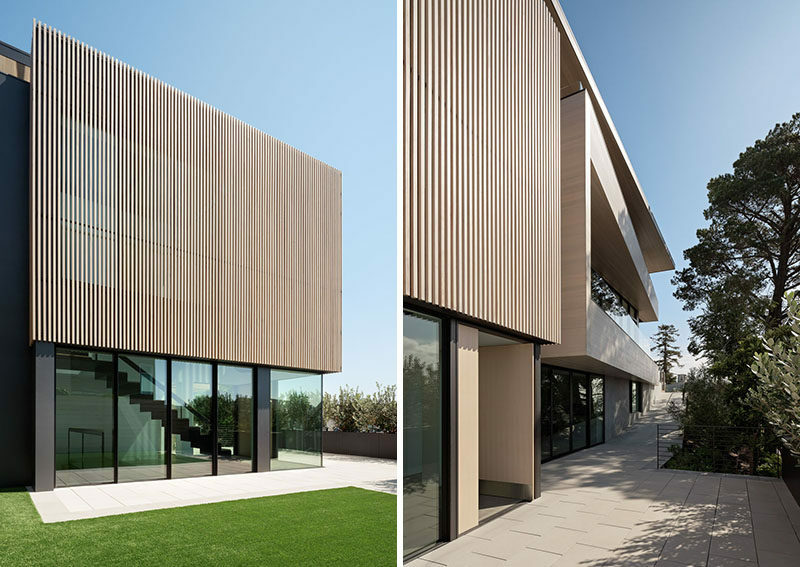 A two-story glazed volume clad in cedar slats defines the entry of the house. 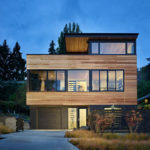 Inside the home, there’s a restrained palette of subtle organic materials. 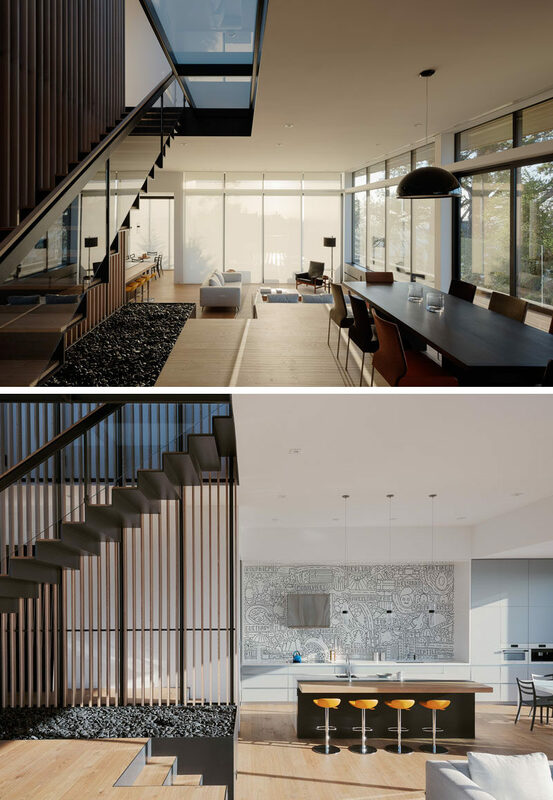 An open floor plan reveals a living room, dining room, kitchen, and a second smaller dining area. 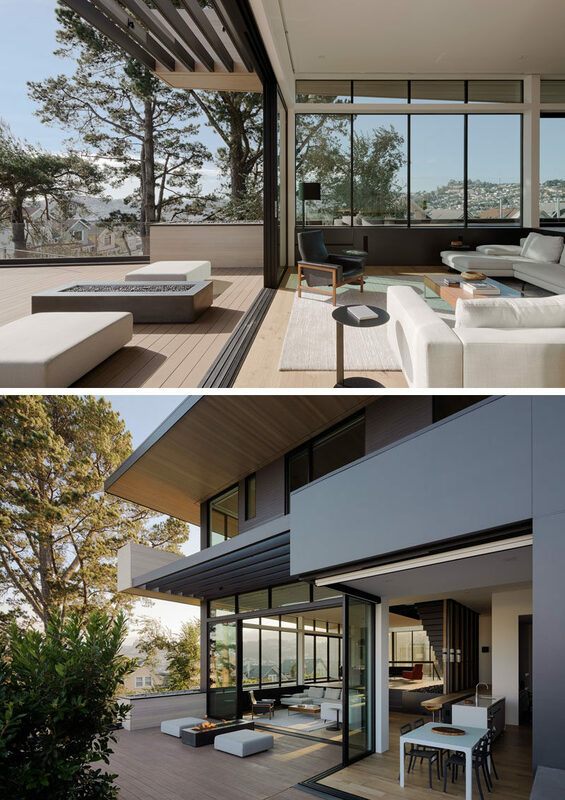 A wall of sliding doors opens the living room and smaller dining area to the deck and backyard. 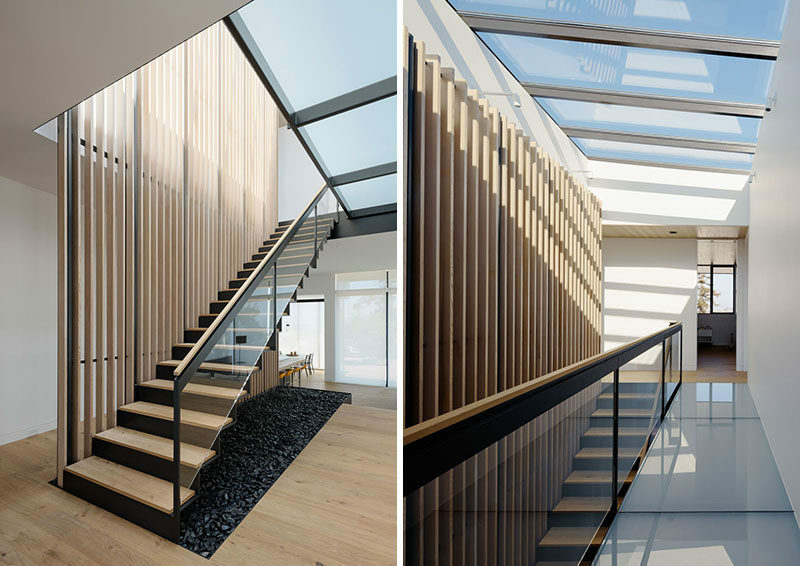 Back inside, there’s a bent-steel staircase that runs alongside a wood slat feature, that leads up to the bedrooms. 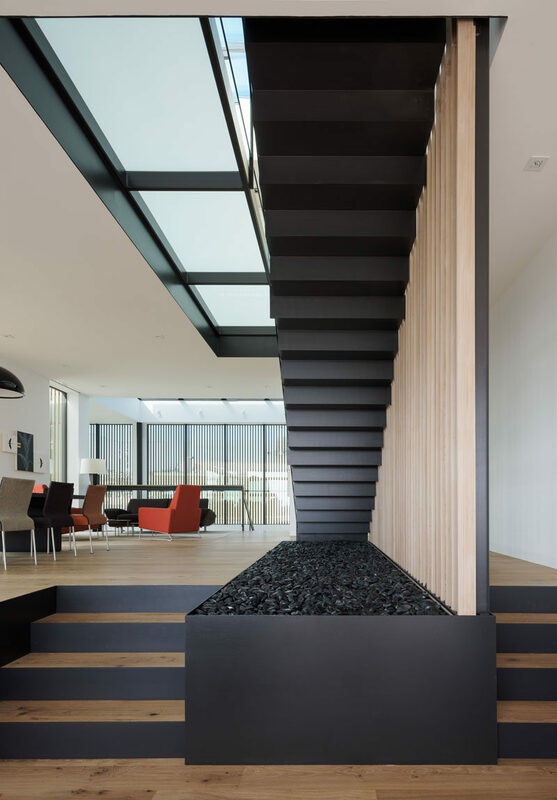 A series of windows floods the stairs with natural light. 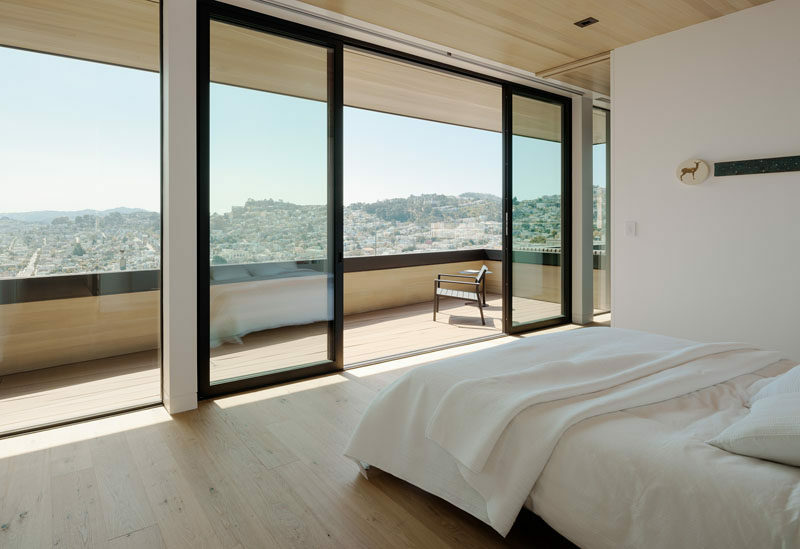 In the bedroom, sliding glass doors open to a covered balcony that provides views of the surrounding area.